In the half-century that has passed since England were indisputably the best, the game that I fell in love with back then has seen a multitude of changes on and off the field, inside and outside the stadia, in the rulebook, in how it is presented on the television, and in the incredible oceans of cash that are swilling about, and I think I d be lying if I said that all of those changes were changes for the better. 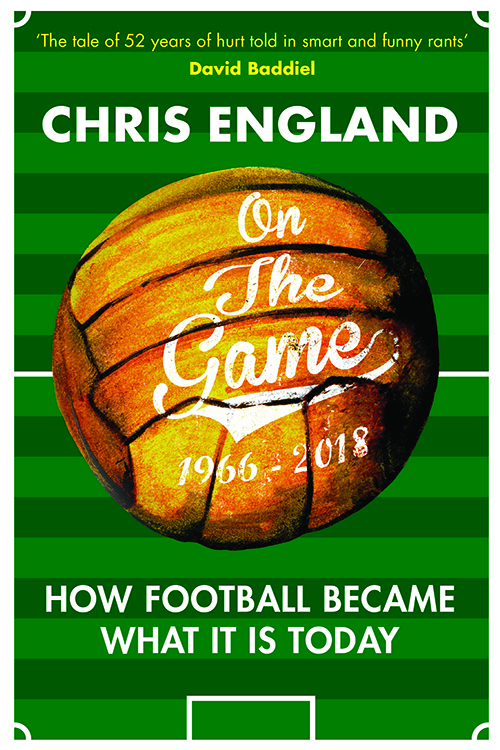 Sportswriter and pundit Chris England (Radio FiveLive) takes the reader on a fact-filled, opinionated and very funny tour through the key events, personalities and innovations that have changed the game over the past 50 years, for better or — perhaps just as often — worse. Full of satirical energy — but also celebrating what deserves to be celebrated — this is the perfect read for the thinking fan who wants to make sense of it all in the aftermath of one of the most surprising World Cups in the history of the — still, from time to time, despite everything — beautiful game. Chris England is a sports and comedy writer. His previous work includes the stage plays and subsequent films An Evening With Gary Lineker and Breakfast With Jonny Wilkinson, and the books Balham to Bollywood a Radio 4 Book of the Week and No More Buddha, Only Football, about the 2002 World Cup. In addition, he has worked on the radio shows 7 Day Sunday and 7 Day Saturday for BBC Radio FiveLive, and contributed to the bestselling Pub Landlord books The Book of British Common Sense and Think Yourself British with Al Murray, The Pub Landlord. His trilogy of novels about Arthur Dandoe and Charlie Chaplin is published by Old Street.